Preheat the oven to 400 degrees. Whisk the first 6 ingredients together, and then add all the wet ones (except the blueberries). Mix just until moistened. 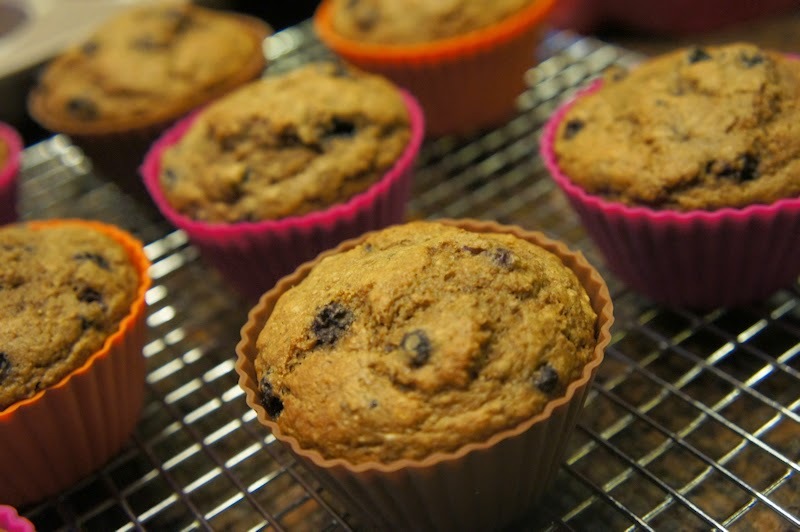 Fold in the blueberries and then fill muffin cups (paper-lined, silicone, or sprayed) full. Bake 25 minutes.